My job as a coach/counsellor is to help my clients become strong, confident and healthy. And if I find information that will help people achieve that goal, then it’s my job to spread the good news. So in this blog I am going to show you the research evidence that walking amongst trees, simple as it may seem, can do amazingly beneficial things for our bodies without us realising it. What is ‘Forest bathing’ or ‘Shinrin Yoku’? The name ‘Shinrin Yoku’ was created by the Japanese ministry of Agriculture, Forestry and Fisheries in 1982, and what it means is: ‘Making contact with, and taking in the atmosphere of the forest’ (not actually bathing). There are now a few dozen forest therapy centres in Japan, as the process has been scientifically investigated and the research findings demonstrate the benefits of walking in the forests. These ‘forest bathing’ activities have been shown to be very beneficial for the body. He mentioned that we as human beings (homo sapiens) have lived on earth for 5 million years, and for 99.9999% of that time, we lived in the forests. Then urbanisation took place, with the industrial revolution, but this period of time has only been 0.0001% of that 5 million years! So because we are living in an artificial, man-made (or human-made) environment we’re always in a state of stress, and to strengthen ourselves against that stress, if we return to nature and walk in the forests, then we will benefit a great deal from that. We will, he maintains, strengthen our immune system. 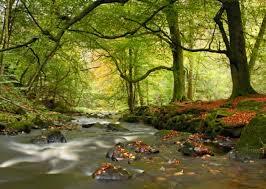 The forest environments reduce the level of the stress hormone, cortisol, in the bloodstream. Research conducted in 2005-2006 produced evidence that it reduced cortisol concentration by 13.4% after simply looking at the forest for 20 minutes, and it had decreased by 15.8% after walking in the forest. People’s pulse rates dropped: In the 2008 research, the average pulse rate dropped by 6.0% after viewing the forest, and a further 3.9% decrease after walking there. But the highest change was in the activity of the parasympathetic nervous system (the ‘rest and digest’ [or relaxation response] part of the nervous system, which switches on to help our bodies recover from the effects of stress). Researchers know that this is connected to our heart rate variability, and this activity increases when we feel relaxed. So when the research participants simply viewed the forest settings, there was an enhancement of the parasympathetic nervous system’s activity by 56.1%. But after the research participants had walked in the forest, there was an enhancement of the parasympathetic nervous system activity – an increase of 103%! Why did these bodily changes take place in the research participants? Dr. Miyazaki discovered that one of the reasons for these changes is that the pine trees in the forests release a substance called ‘phytoncide’. This is the substance emitted by pine trees to kill insects and stop wood rot, and this substance has a beneficial effect on people as they walk through the forests. He has done a lot of interesting research with different wood scents, and shown how they have a positive effect on the body. So when you’re out walking in the trees, you are really helping your body recover from the strains of working and driving in an urban environment, and regular walking in a natural, tree-rich setting will strengthen your immune system. 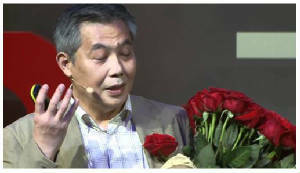 He also mentions in his talk the effects of looking at flowers on humans, and he hands out red roses during his presentation – a lovely gesture to put across his ideas. I hope you experiment with this idea of walking in the woods or forest. 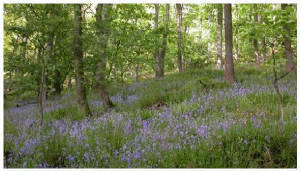 Happy walking – and finally I’d like to recommend Hardcastle Crags in Hebden Bridge as a great place to walk!